BuyOnTheDip.com ~ Trading Stocks and Options! : The PAIN CAVE! .... the pretty, pretty PAIN CAVE! The PAIN CAVE! .... the pretty, pretty PAIN CAVE! OUCH!!! ...... the market loves the PAIN CAVE! 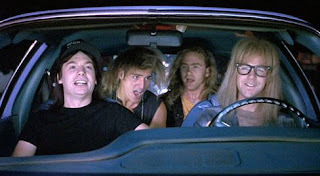 Garth & Wayne give us peace in the PAIN CAVE! EMC = PAIN CAVE FOR THE DIPFOLIO. WFR hurts also, but we are adding more! I have a daily pick site, and I have been checking out other sites w/ picks; sheck out mine as it is close in content and style -girls!! maybe we can link up sites or under friends list?